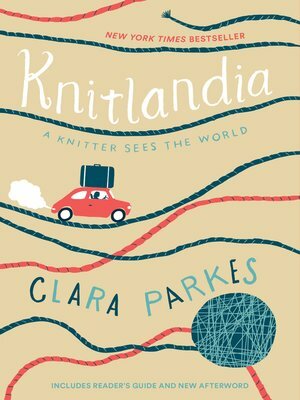 Knitting aficionado and notable artisan Clara Parkes delves into her storied travels with this inspiring and witty memoir on a creative life enriched by her adventures around the world. Building on the success of The Yarn Whisperer, Parkes's rich personal essays invite readers and devoted crafters on excursions to be savored, from a guide who quickly comes to feel like a trusted confidante. In Knitlandia, she takes readers along on 17 of her most memorable journeys across the globe over the last 15 years, with stories spanning from the fjords of Iceland to a cozy yarn shop in Paris's 13th arrondissement. Fans of travel writing, as well as knitters, crocheters, designers, and fiber artists alike, will enjoy the masterful narrative in these intimate tales from a life well crafted. Whether you've committed to exploring your own wanderlust or are an armchair traveler curled up in your coziest slippers, Knitlandia is sure to inspire laughter, tears, and maybe some travel plans of your own.